New Delhi: Brazil may join India in its appeal against the European Commission (EC) at the World Trade Organization (WTO) over the seizure of consignments carrying generic drugs. “We have prepared a legal brief to challenge the ad hoc steps taken by (the) Netherlands at the WTO. We are also in consultation with Brazil, which has indicated that it will join in with us in our complaint against the EC," a commerce ministry official said on condition of anonymity. A consignment by Dr Reddy’s Laboratories Ltd to Brazil was seized in transit by Dutch customs in January. India has registered strong objections with the EC previously. While the commission cites domestic laws of individual countries against patent infringments, India maintains that the EC countries are creating trade barriers against Indian drug companies to protect the interests of their firms. India had taken up the issue with the European Union trade commissioner Catherine Ashton during her visit to New Delhi to attend an informal WTO ministerial meeting in September. During an interaction with the media prior to a meeting with India’s commerce minister Anand Sharma, Ashton said the EU wants to settle the issue amicably with India. She added that India had a right to take up the issue at the WTO if it was not satisfied. In 2008, there were 17 cases of drug seizure in the Netherlands alone, according to a response from Dutch authorities to Health Action International, a non-profit organization, under a freedom of information request. Of these, 16 were shipped from India and one from China. As per EC laws, if a consignment of drugs is not patented either in the country of origin or its final destination, it can be seized. India has objected to this, saying the agreement on Trade-Related Aspects of Intellectual Property Rights allows such exports as EU countries were not the destination. 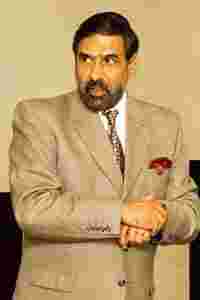 Earlier in 2009, Sharma had said the Indian government was fully prepared for legal action against the EC, if required.